People have always had a fascination with observing the passing of time. From prehistoric man to the modern day technology craze, the watch world has seen an abundant amount of different devices used to measure time. Sundials and water clocks were among the most common methods of tracking time before the mechanical clock was invented in the late 1200s. In 1275, the first mechanical clock was invented in England. One of the oldest working clocks is found at Salisbury Cathedral, completed in 1386. This clock does not have any face and tells the time by striking the hours. In the early 1300s, three mechanical clocks were built in Italy. One was an astronomical clock, the second ringing a bell every hour and the third followed the hours, sunrise and days of the month. As the years progressed, blacksmiths continued to build clocks with loud bells to be heard throughout manor houses and towns. The 16th century brought along the use of using brass, bronze and silver rather than the iron previously used. In the 1540s the Swiss watch industry was born because reformer John Calvin banned people from wearing jewelry. This forced jewelers to learn another craft, watchmaking. In 1574, the first known pocket watch is created in bronze with religious depictions on both the front and back. The Pendulum clock was patented by Christian Huygens in 1656 but was first studied in 1602 by Galileo. The pendulum clock decreased deviation in time to around 15 seconds a day over the existing mechanical accuracy of 15 minutes a day. The movement found by the motion of the pendulum was found to measure the force of gravity. Scientists, including Isaac Newton studied the pendulum and helped accurately measure the shape of the earth due to the force of movement. Over the years, the pendulum was not only used for scientific purposes, but it was also perfected to keep some of the most accurate time. 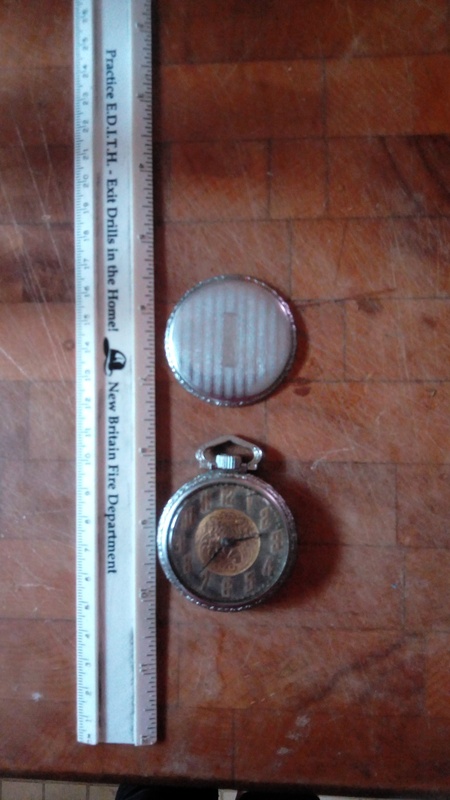 While pocket watches started to be produced in the late 16th century, they only showed the hour. It was not until 1680 that minute hands were added to clocks. The first second hand made an appearance 10 years later but did not become common practice for quite some time. 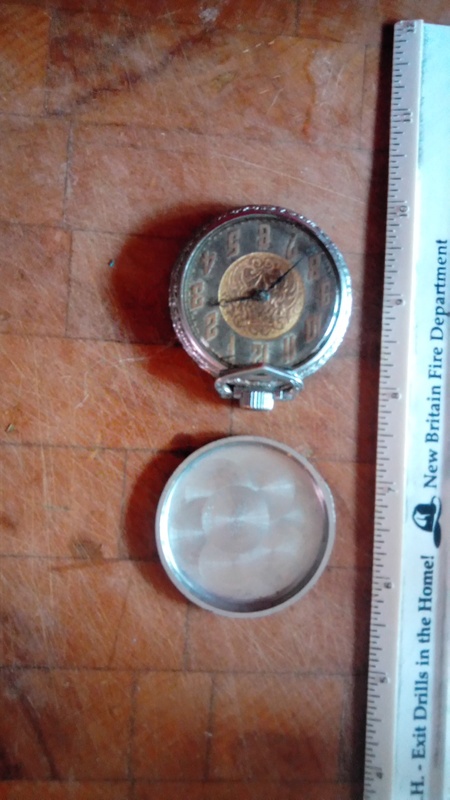 The pocket watch replaced the old pendant time piece. This change is said to have occurred after Charles II of England introduced waistcoats. Due to wearing the watch in a pocket rather than being protected in a pendant, the shape was flattened and curved to avoid any sharp edges protruding and damaging clothing. The face was covered with glass in 1610 to protect the hands from damage. The 1700s saw clock ownership becoming more widespread. Manufacturers were producing clocks in all shapes and sizes, including grandfather cases and decorative table clocks. Because clocks were becoming more mainstream, more development with technology followed. The deadbeat escapement introduced in 1715 brought along greater precision. The first self winding mechanism was invented in 1770 by Abraham- Louis Perrelet. Jean-Antoine Lepine created a thinner movement in 1770 which also allowed watchmakers to make thinner watches, more easily concealed. The lever escapement, although invented in 1759, was improved upon in 1785. This escapement was primarily used in Britain as Swiss watchmakers used cylinder escapements until the late 1800s. With the upgrades in technology in the 19th century, manufacturers were also able to develop their own systems for duplicating tools and machinery. Mass production blossomed in the United states, primarily in Massachusetts and Connecticut. Cheaper materials allowed for the mass production of pocket watches which made them available to ordinary people for the first time. The mass production also called for a change in how pocket watches were wound. 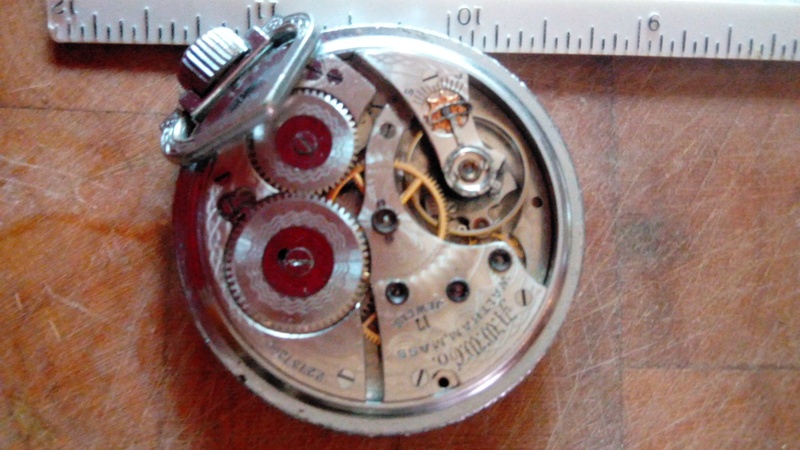 From around 1860 onwards, key winding was replaced by key-less winding. This meant that the pocket watch was wound by turning the crown. The first wristwatch was created in 1812, to fit the wrist of the Queen of Naples, however, they had previously been introduced in the 1570s but were described as an arm watch. Wristwatches were primarily worn by women as the watches were prone to damage by the elements, which is why men wore pocket watches. Wristwatches became more popular for men in the military. In 1880, Constant Girard, of Girard-Perregaux, mass produced two-thousand wristwatches for German Naval Officers. Brazilian aviator Alberto Santos-Dumont was in search of a watch that would allow him to keep both hands on the controls while timing flights. He reached out to good friend Louis Cartier to come up with an alternative. Cartier and his watchmaker Edmond Jaeger developed the Santos wristwatch, popularized by Santos-Dumont wearing it during his flights. During the first World War, a pocket watch meant that to keep an eye on the time, soldiers could not fully carry all of their equipment. To keep their hands free, they were given wristwatches called “trench watches.” These early wristwatches were made with pocket watch movements, some brands would put the crown at 12 o’clock while others moved it to 3 o’clock. They were worn on leather straps and allowed for accurate coordination of maneuvers and attacks. Wristwatches became part of the Officer’s Kit for the war front. They were required to have a luminous wrist watch and unbreakable crystal, which were also to be purchased individually rather than supplied by the military. Because the men were to purchase their own watches, there were many adverts seen all over which helped popularize wristwatches. In 1930, the first stopwatch was patented by the Breitling Watch Company even though they were originally invented in the 1770s. The chronograph, while similar to a stopwatch, measures time in addition to recording time increments. Electric watches were introduced in the 1950s. The hands were moved mechanically yet the balance wheel was powered by a solenoid, a thin wire wrapped around a metallic core producing a magnetic field when an electric current is passed through. These electric watches foreshadowed the quartz watch, introduced in 1969. The quartz watch removed all moving parts found in mechanical watches, replacing them with a battery. This meant that the watches became more shock absorbent and could maintain better accuracy with no cleaning or oiling. These quartz watches were driven by a battery powered circuit rather than a self winding movement. Quartz watches used digital counters rather than a wheel train to add up beats to track the time, this is still found in quartz watches today. Non-quartz watches are still manufactured today, mainly by luxury Swiss brands. Many are created by hand still and feature hand polished surfaces from the dial all the way to the smallest screws. The production of these watches is a true art-form that not many people possess. Silver, stainless steel and gold have all been common watch materials, companies have experimented utilizing titanium and carbon fibre in their case designs as well as using aluminum and platinum. In more recent years, watches have been made with even more high tech materials including silicon and ceramic. Some of these materials are also found in the watch movements, not just the cases. Watches have always gone hand in hand with technology and inventions, we have really seen this over the past few decades with quartz and electric watches. Most recently with the technology expanding in the computer and mobile phone industry, companies have been experimenting with the “smart watch.” These watches not just reserved for watchmakers, as software companies have spent a lot of time in researching how micro technology can be. Apple has introduced the iWatch, and you can also find the Google Watch and Android Wear. To keep up with these smart watches, many luxury watch brands are now introducing their own smart technology. IWC recently released information on their IWC connect, which is worn on the strap rather than built into the watch. TAG Heuer also announced their own collaboration with Google and Intel to create a smart-watch. Brands such as Montblanc, Frederique Constant, Alpina, Mondaine and Movado have also made smart watch announcements. The mechanical watch once almost died with the quartz watch craze but it was brought back to life. Even with all the new technological advances and releases, mechanical watches are here to stay. There is a beauty in the manufacturing and mechanical innovation of these watches that people are drawn to. This is seen in the watch world of vintage collectors, who strive to find classic watches made before the push of technology. These new technologies seen today will help the imagination explore unforeseen paths in watchmaking and beyond. Vacheron Constantin Traditionnelle Tourbillon: Pricing & Technical Details SIHH 2018	Vacheron Constantin delivers their first self-winding ultra-thin tourbillon movement with the Traditionnelle Tourbillon. 7 Rose Gold Watches You Need	Rose gold — it’s been around for centuries. Rose gold has had its ups and downs in terms of popularity in the past but it is definitely seen in a “rosy” light in more recent years. I’m writing an essay too and I also find this article super helpful!